I recently jumped on the latest fad of juicing as it was highly recommended by several of my “healthy lifestyle” friends. After reading several different reviews, purchasing my own juicer and juicing every morning for the past month I found so many incredible health and digestive benefits to share with our C&C readers. I am typically a very hungry person so juicing once a day while eating my main meals was most sufficient for my lifestyle. I preferred to start my morning off with a cup of freshly made juice along with a morning snack. I don’t think I could survive an entire morning on just juicing as I have a bigger appetite and it’s important to get in dietary fibers and protein to complete a healthy diet and lifestyle.Here are some of the major health benefits I noticed while juicing. 95% of the vitamins and enzymes our bodies need are found in the juice of raw fruits and vegetables. 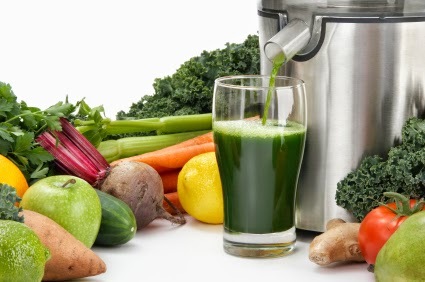 While juicing highly concentrated vitamins, minerals and enzymes rapidly enter the bloodstream absorbing all of the nutritional benefits of the fruits and vegetables and giving your digestive organs a much-needed rest. This is great for people who suffer from digestive and/or recovering from food intolerances. It gives your digestive system a break and time to repair its self. Juicing has many healing properties and will also facilitate weight loss, increase your energy levels, strengthen immunity, and create strong bones and a glowing complexion. It also reduces your chances of heart disease, cancer and strokes, three of the leading causes of death. Juicing helps raise the pH balance in our bodies, and in turn, helps to protect us from conditions related to acidic imbalances, including heart and kidney disease, osteoporosis, and diabetes. Most people don’t get enough fruits and vegetables in their daily diet. Juicing helps ensure you’re getting your full daily intake. 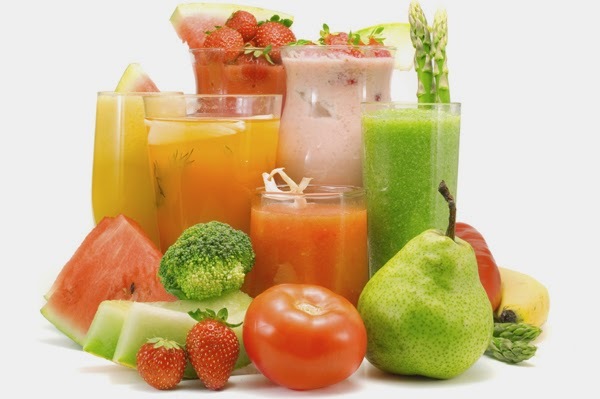 Juicing can aid in weight loss or help to maintain weight loss.